Hey guys, I just wanted to share…. a few days ago I upgraded my PTFE tube to the Capricorn PTFE Tubing XS- Low Friction and have re-printed many calibration objects with a much noticeable improvement in print quality. Interesting. I like the fact that the bore is so close to the OD of the filament. That should help prove or disprove the theory that filament buckles and coils up inside a Bowden tube. 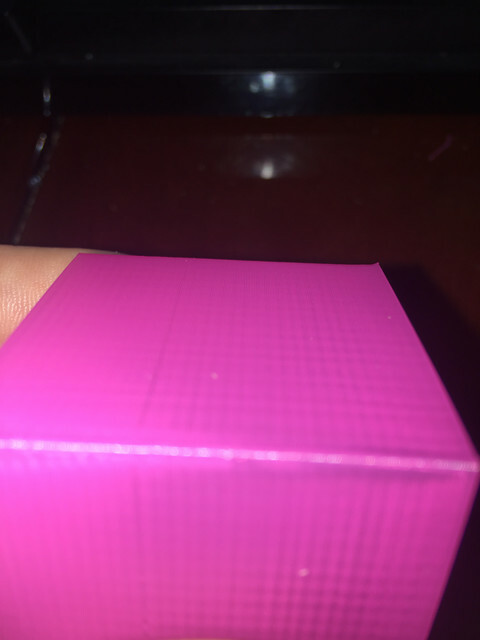 In what way did your print quality improve? (and are there any UK suppliers). I dont know about suppliers I found it last week when I was browsing their site for a Titan Aero…. My extrusion has improved a bit and the last prints even the very fine details are now being picked up and have perfect perimeters/layers. Nice! Any chance you could post photos? Huh, so this stuff really works? I thought it was just a bunch of ad copy. I may have to try some out, the XS is the opaque version that you can't see through, correct? You can tell just holding it in your hand that there is a big difference. It is slicker than PTFE, stiffer and tighter tolerences. as you can see there are no defects, I will get some more prints tomorrow. I am tired and my kids have seemed to run off with my test prints again. @Whitewolf. 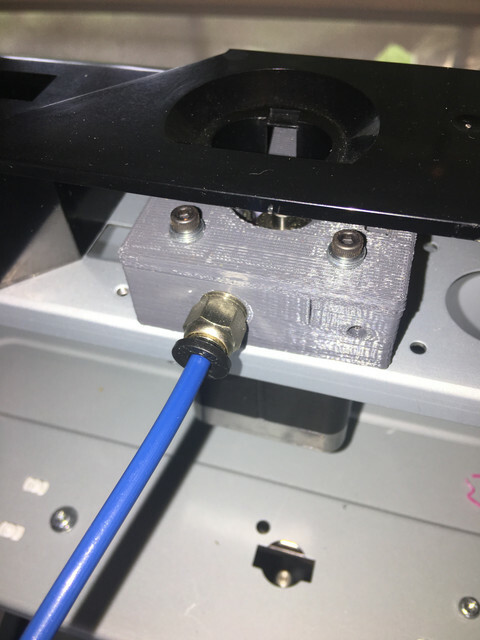 What extruder are you using? 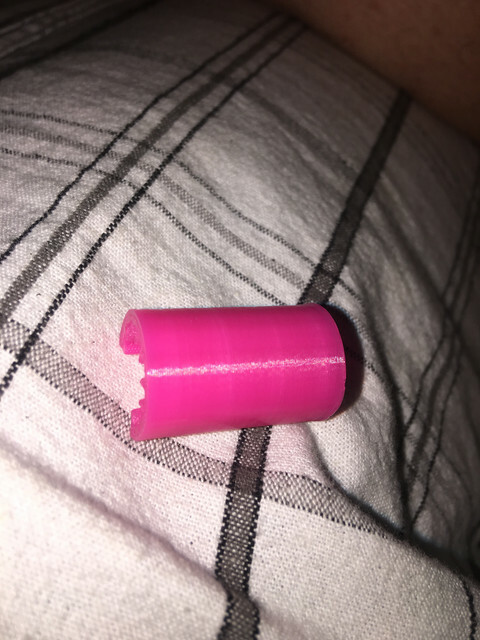 I'd guess that you wouldn't want one that bites too deeply into the filament as hobbed bolt marks might cause it to jam with the tube bore being only .05 bigger than the filament OD. Can't find a UK source. In fact, I can't find a UK source for any 1/8mm bore PTFE. 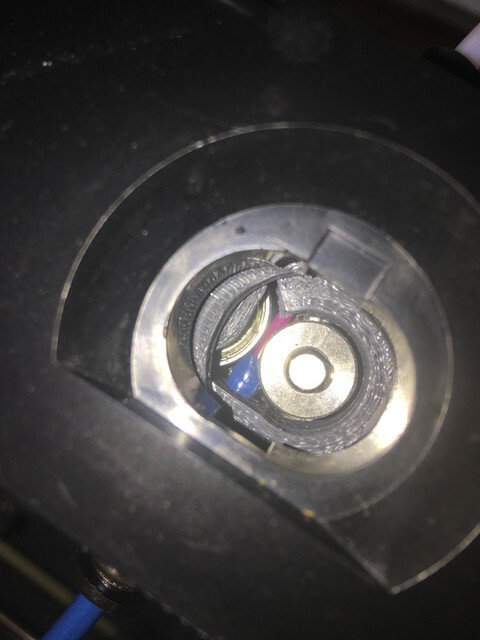 It is a printed direct drive (no gearing) the spring is heavy duty even in its lowest setting the hobbed gear is very tight and filament cannot be pushed through without motor off. I have not had jamming issues but so far have only tested on PLA. I have not yet done softer filaments but will do so soon as i finish the pressure advance calibration. I don't kind of get this 0.9 degree stepper on a Titan thing. 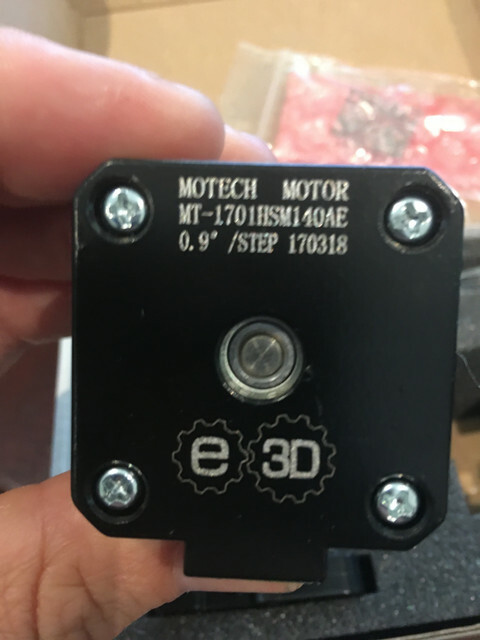 I know E3D are selling them and it seems they have the motor made especially for them. But the steps per mm for a Titan with a standard 1.8 degree stepper are a tad over 400 which means that a 0.9 degree stepper will want over 800. Why would one need that sort of resolution? 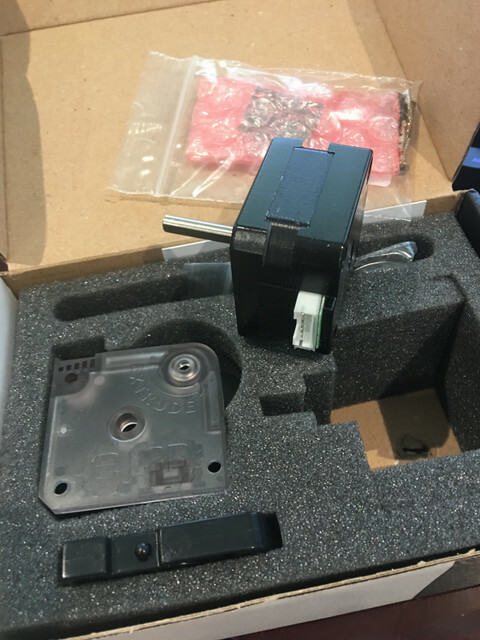 Or is there some other reason for having a 0.9 degree stepper motor on a geared extruder? I dunno, well see…. I think everything comes down to configuration.... thats why I want to do a side by side, I cannot imagine it will give me better resolution than I currently have maybe faster speeds while maintaining resolution, we'll see. How nicely does the XS stuff cut with a razor knife? 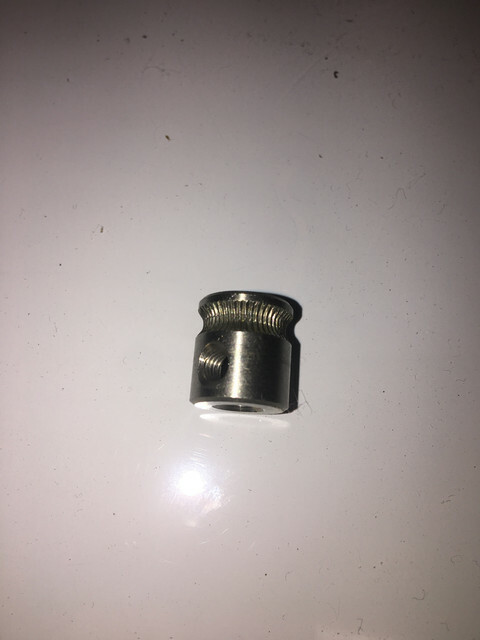 Can it easily be "pointed" so it fits between the two drive gears, like normal PTFE tube, or does it crumble or is it hard to cut? At 0.15mm filament width and 0.05mm layer height, 1mm of print length is 0.0075mm^3 of polymer. At 800 steps/mm, one step = 0.003mm^3 of polymer. So the benefit really is in very small extrusion widths/layer heights. Yes. So when I have a nozzle that can print about 2 hairs breadth wide and 3/4 of a hairs breadth tall I might need the extra resolution. Can't see me running out to buy a nozzle that size any time soon.